i devote this post to my SX-70 Polaroid Camera. 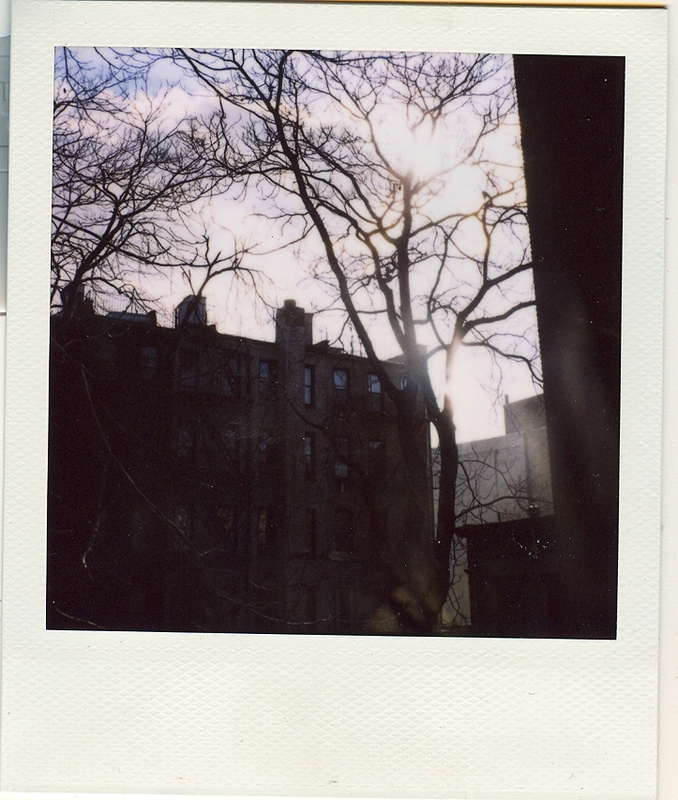 you will find many more Polaroid images on my Polaroid page (not to state the obvious or anything), but this is the first picture i ever took with my 1970-something-ebay-purchased camera and it is still, to this day, one of my favorites. the sx-70 is a work of art – in general, yes – but also in the broad spectrum of camera design. the design of this camera was beyond innovative, it was something the world of photography had never seen before when it was first introduced. the one that i purchased on e-bay was in mint condition and although they are sensitive cameras (light wise), they are also hardy and reliable. i can certainly attest to the hardy factor because my giant horse actually stepped on it (after dropping it) when i was trying to take a picture of him and aside from a few scratches on the leather lining, the camera’s performance held steady (if you haven’t gathered this already, i am a major klutz). if you are ever interested in purchasing such a beautiful piece of equipment rest assured that you can still find film for it. about a month after this camera arrived at my new york doorstep (er, hallway-where-it-could-have-very-likely-been-stolen) i was notified that the film for this particular camera had been discontinued. i was devastated, to say the very least, but then, within weeks after my purchase and extensive googling (that’s a verb, right?) – i found out that the film was going to come back into production because there was such an uprise over its discontinuation. which pretty much means that anyone who owns an sx-70 rocks, right?